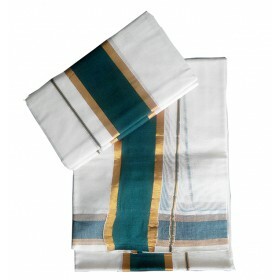 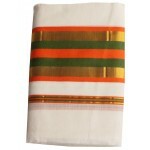 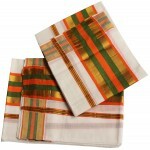 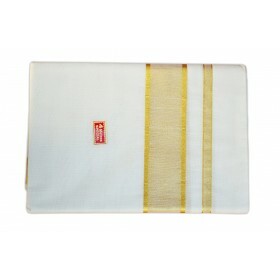 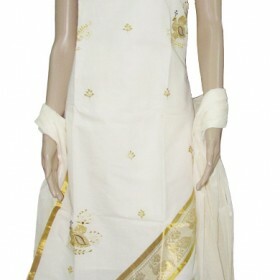 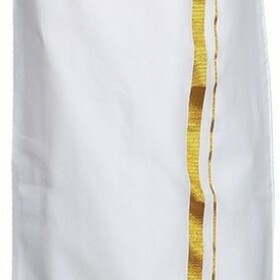 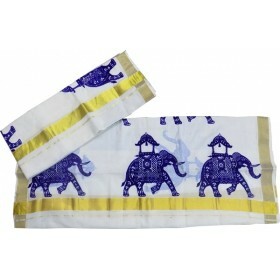 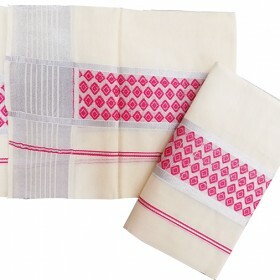 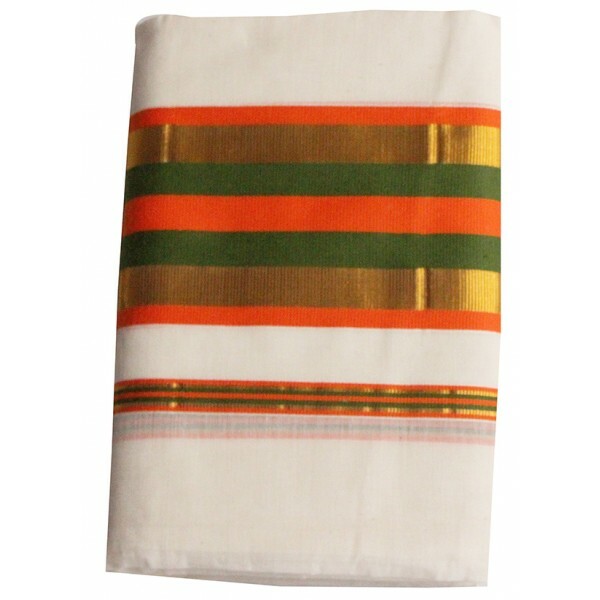 Purchase High Quality Kerala Kasavu mundu / dhoti from malabar shopping, its designed with velcro sp.. 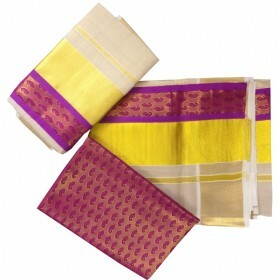 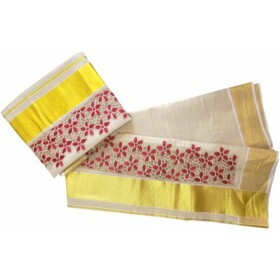 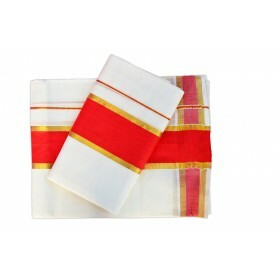 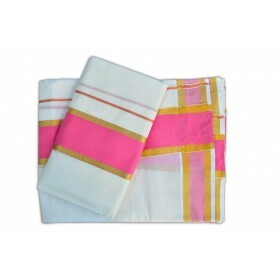 It is an elegant Cream colour set mundu with silver and pink color border from Malabarshopping colle..
Kerala kasavu double set mundu in ivory ,green and orange color border. 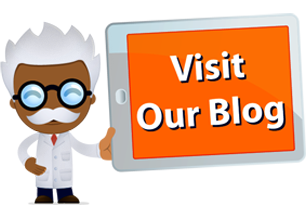 Two types of borders are attached, a green and an orange one which makes it a trendy traditional wear.